Sew Cute: Valentine's Day Gift Guide: For Her, For Him, and For Friends! Valentine's Day Gift Guide: For Her, For Him, and For Friends! Valentine's day is such a fun holiday! I love all of the pink, red, and purple colors plus all of the hearts. It has to be one of the cutest holidays ever. So, today I rounded up some fun Valentine's Day gifts for anyone on your list! From a girlfriend, boyfriend, to your Galentine there is something for everyone. Of course other great gifts include flowers, candy, and the basic stuff. But, the basic stuff is still great! You can never complain about getting flowers and treats as gifts am I right? 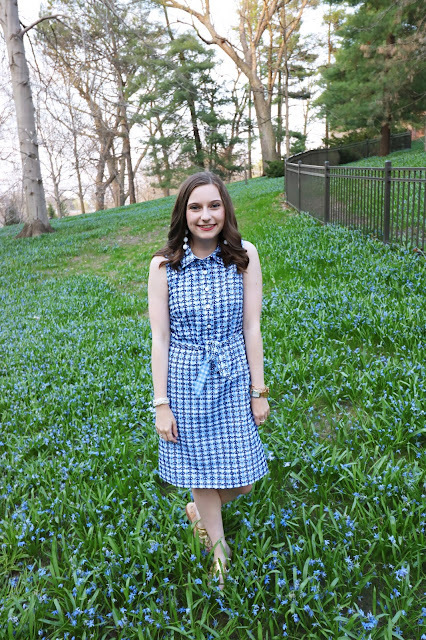 For her, I love KJP's new pearl collection! From rosey pearls to necklaces, earrings, and bracelets with bow accents these gifts are dainty and feminine. It wouldn't be a gift guide if I didn't throw something Barbour in right? I love this red Barbour Cavalry Polarquilt! It's a super warm jacket in a fun pop color. For smaller gifts there is Sugar lip balm, a personal favorite of mine, or a cute jewelry box both are under $25! On my personal wishlist is this little bean necklace from Tiffany & Co. I don't know why but I think it is super adorable and a nice neutral necklace. For something fun and super Valentine's Day is this cute heart candy purse from Kate Spade. I'm always down for a novelty purse, and this one fits the bill for Valentine's Day perfectly! For him, it gets a little tricky. Buying gifts for guys I think is so hard! But, here are some basic ideas that will work for basically any boyfriend! Pick up a fun graphic tee from their favorite brand, band, or whatever interests them. My boyfriend loves vineyard vines tees, so I chose this cute Valentine's Day whale tee for this guide, but you can tailor it to whatever interests your guy! Next up, a nice belt is a great gift. You can either splurge or find a great value option. Smathers & Branson are great quality belts, plus they have a ton of different designs to choose from. A button down shirt is also a great basic gift, pair it with a fun bow tie or tie for a Date Night look you can gift your boyfriend! Next up, the most basic Valentine's Day gift, but a goodie, is a bottle of cologne. The best part is you can decide how you want your guy to smell, win-win. Lastly, is a nice fountain pen. This is a fun smaller gift your guy won't expect. You can find a ton of options on Amazon in every price range. Then for your Galentine (where my Parks and Rec fans??)! These gifts will be sure to show your BFF how much you care. Stoney Clover Lane pouches, necklaces, or patch set make great gifts! This velvet pouch is for a special price of $30. For $30 you get a small velvet pouch, in red or pink, with a heart patch, which is such a good deal. Plus their heart chocker necklace is on sale for $19, also a steal. For their sweet tooth, you gotta go with a Sugarfina bento box or candy cube. Their candy is my absolute favorite! Hello cute gummies in even cuter packaging, best thing ever. For a more sophisticated friend pick up a piece of pearl jewelry from KJP! Just as I suggested for her, these pieces are so gorgeous and pretty affordable. Then for your goofy friend pick up a pair of heart sunglasses or another goofy gag gift. A giant teddy bear with candy is also a great option because let's be honest your probably basically dating your BFF anyways. 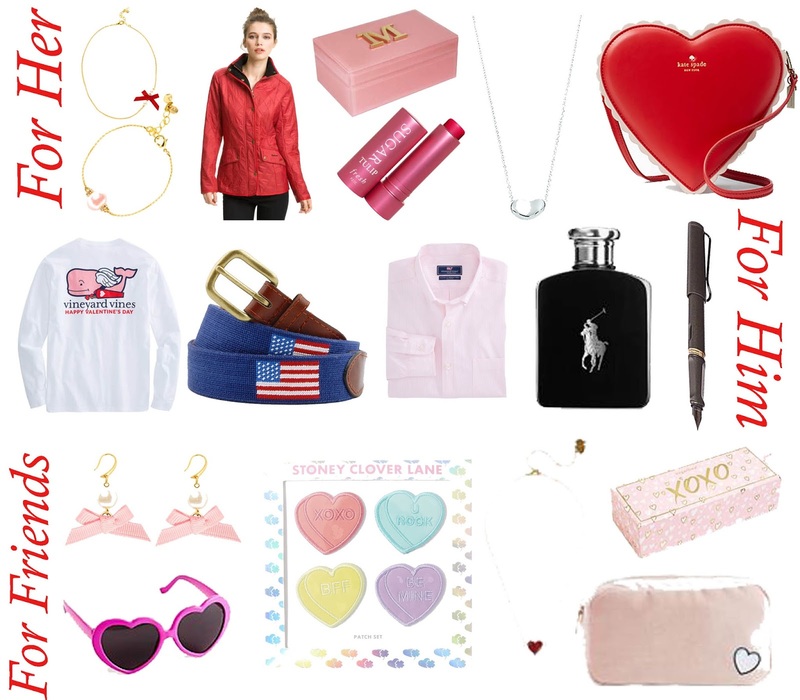 I hope you enjoyed this Valentine's gift guide! What are you giving your loved ones for V-Day? Let me know in the comments!